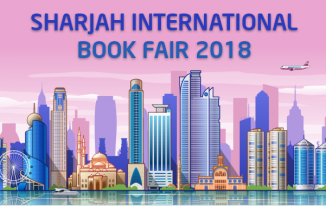 The 36th edition of the world’s 4th largest book fair, Sharjah International Book Fair begins on 1st November, and like every year, I’m excited to represent my company, Al Khamri, at the fair. It’s a 10-day event that started in 1982 under the guidance and patronage of His Highness Dr. Sheikh Sultan bin Muhammad Al-Qasimi, the UAE Supreme Council Member and Ruler of Sharjah. The event has a new theme every year, and it brings numerous opportunities for everyone associated with it. Through this blog, I’ll be underlining this year’s theme, things to look forward to, and of course, a peek into some surprises this fair has in store for us. Clearly, the theme reinforces Sharjah’s vision to emphasise the opening of windows into new cultures through books and human exchange. What I like the most about this, and SBIF’s previous themes, is that it goes all out to promote reading. And I strongly believe that’s a great way to bring a change in the world. If we look at some of the previous themes – ‘Reading for All,’ ‘Read, You Are in Sharjah’ and ‘Read More’, it is evident that the prestigious fair has always highlighted the value of knowledge in the creation of a progressive society. 1. The festival just got cooler as it is all set to have an amazing Comics pavilion to present the timeless comic heroes for today’s generation. I believe it’s an opportunity for young people to learn about the artistic imagination behind the designs, features and characters of each hero. What’s more? There will be a place for artists to exhibit and sell their works, a roaming performance act and a photo opportunity with comic superheroes. 2. 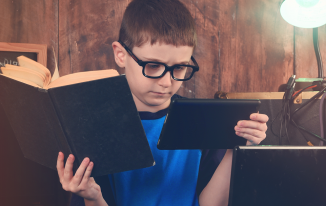 The Sharjah Book Fair is all set to embrace the digital age! According to the information I’ve received, the Hall 1 at the SIBF will now be dedicated to online and audio books, with a group of leading publishing houses specializing in e-books and digital publishing taking part. They are also introducing a ‘Future Zone’ to meet the needs of readers, especially school & university students, interested in digital literature. This is a great initiative, providing the visitors with an opportunity to experience products through various online, audio and visual channels, and enjoy access to an array of promotions and discounts. 3. 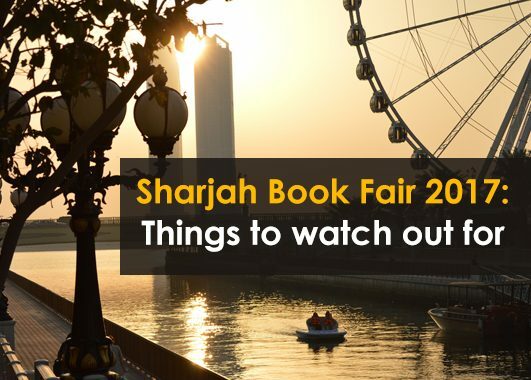 It’s getting bigger and better at SIBF this year! Due to the high demand, the space has increased by 4,000 square metres. Amazing, isn’t it? Let’s talk about business now. As we know, the SIBF 2016 was a great success as book sales reached the highest level ever, with an estimated Dh176 million ($ 48.2m) worth of sales during the fair. And obviously, the expectations this year are much higher – at least by 50 per cent. I think I have pretty much summed up different aspects for this promising book fair. Signing off with the hope of meeting you all in Sharjah soon.